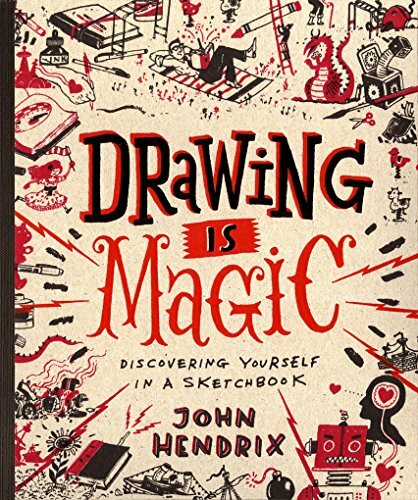 Drawing is Magic is a fun book to get you into the habit of drawing with a sketchbook. The author is John Hendrix, an illustrator and educator. The text in this book is written in an enthusiastic tone, the drawing activities are fun, illustrated examples lively and ideas plenty. This book is great for beginners who want to pick up sketching, and help you develop a love for drawing. What it doesn't cover are the fundamentals of drawing, e.g. the more academic stuff such as proportion, composition, values, etc. This book is more of an outlet for you to put pen to paper, and you can even draw on the pages inside. If you want to take drawing further, then you source out other drawing books.